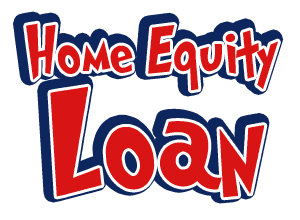 Okay, so the ambiguous disclosure (in my eyes, anyway) of the pre-payment penalty for the home equity loan has been cleared up. No joke, for the past 4 days, we’ve received at least two more envelopes from TD Bank with additional (and often redundant) paperwork. One of the funniest/annoying aspects of the whole thing, besides the fact that they could have just asked for everything all at once, is that all of the forms so far have said to return the “documents” or whatever to the store or fax them to: ________________. No joke, the fax number isn’t listed out. Just a blank where it’s supposed to be. Now I understand that the fax machine is going the way of the record player but for this sort of thing — you know, transmitting documents — it’s still kinda effective. Either that — or email. Really, I’d prefer to not have to print and mail 100+ pages worth of tax returns when a simple PDF attachment in an email would do it. They don’t offer that, apparently, either. So, anyway, back to the pre-payment penalty. It’s a $450 penalty if the loan is paid in full with-in 24 months. That’s not gonna happen anyway so I’ve got nothing to be concerned with. OMG! Smurfs coming to Big Screen!! !